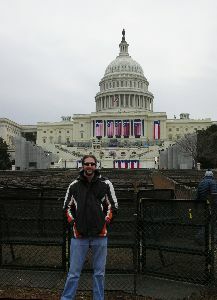 On January 20th, 2009, I saw history in the making. I went to Washington D.C. in order to witness first hand, the swearing in of our 44th President, Barack Obama, the first ever African American to be president. It was an amazing event, one that I will never forget. Since I arrived in D.C a few days early, I was also able to visit some of the Smithsonian museums as well as a couple of other landmarks that D.C. has to offer. All in all, it was a fantastic trip. You can see some of what I experienced in the slide shows and videos - just click on the links above.